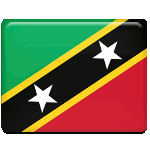 National Heroes' Day is a public holidays in Saint Kitts and Nevis celebrated on September 16 each year. Such a date of chosen was chosen to commemorate the birth anniversary of Robert Llewellyn Bradshaw, the country's first Premier. Robert Llewellyn Bradshaw served as the first Premier of Saint Kitts and Nevis from 1967 to 1978. He is credited with leading the country to independence. Paul Southwell was the second Premier, he was also an active trade unionist. Joseph Nathaniel France was a trade union leader and politician. Simeon Daniel was a politician and the first Premier of Nevis. National Heroes Day was established in 1996 to honor Bradshaw, who was the country's only National Hero at that time. It was first observed in 1998. Southwell and France were added to the list of National Heroes in 2004, and Daniel was elevated to this honorary status in 2013. National Heroes' Day in Saint Kitts and Nevis is marked with solemn ceremonies held throughout the country. On the occasion of the holiday, distinguished Kittitians and Nevisians are awarded for outstanding achievements in various spheres.